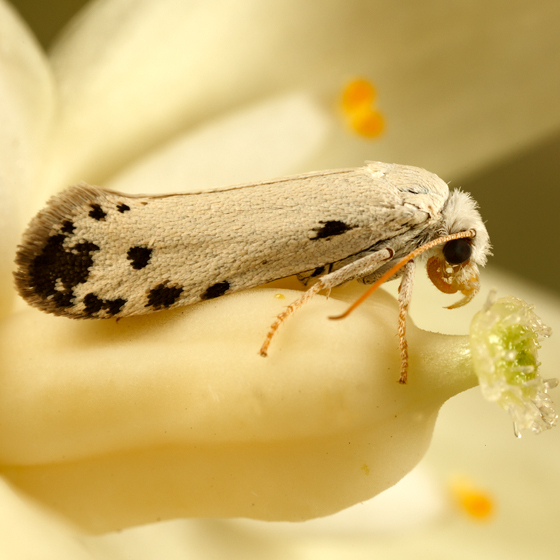 On yucca flower. Tegeticula maculata? ID confirmed by Jerry Powell.